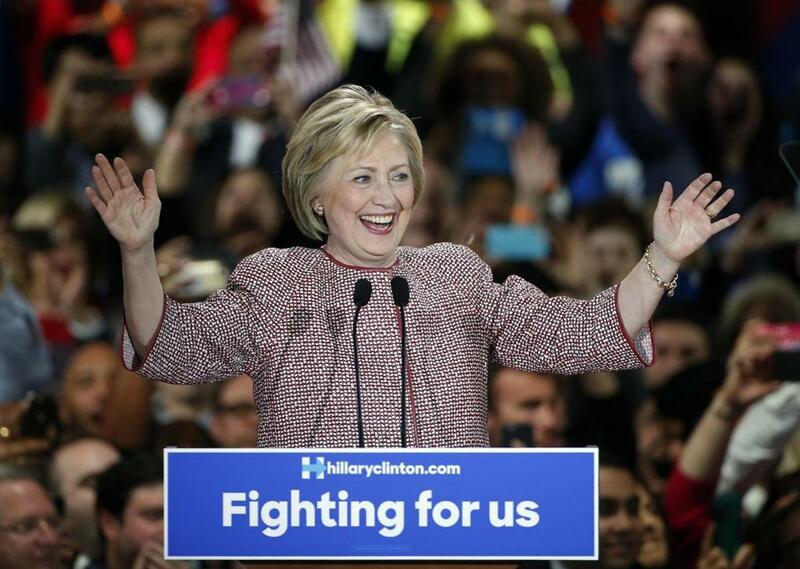 Hillary Clinton celebrated after winning New York’s Democratic presidential primary Tuesday. NEW YORK — Hillary Clinton’s short list of vice presidential options will include a woman, a top campaign official said in an interview — creating the possibility of an all-female ticket emerging from the Democratic convention in Philadelphia. Clinton wants “the best person to make the case to the American people,” her campaign chairman, John Podesta, told the Globe. “We’ll start with a broad list and then begin to narrow it. But there is no question that there will be women on that list,” he said, adding that staffers are still focused on clinching the primary. The development immediately injects liberal darling Senator Elizabeth Warren’s name into the growing speculation about who Clinton will choose as her running mate now that she is almost certainly on track to become the nominee. Any female pairing would double down on the historic nature of Clinton’s candidacy, and Warren adds the obvious benefit of providing a bridge to supporters of Senator Bernie Sanders who are wary of Clinton’s ties to Wall Street. Though the idea of a two-woman ticket seems far-fetched to many, the conventional wisdom has been upended multiple times so far in 2016. Washington insiders more typically focus on an exclusively male-centric VP list that includes names like Housing Secretary Julian Castro, Labor Secretary Tom Perez, New Jersey Senator Cory Booker, and Virginia Senator Tim Kaine. A look at some of the women Clinton could consider to be her running mate. Attention is turning to Clinton’s deliberations over a running mate after her overwhelming victory in New York on Tuesday made it all but certain that she’ll clinch the nomination. Sanders would have to win 73 percent of the delegates in remaining primary states to overtake her lead, according to a tally by the Associated Press. Then he’d face the uphill task of persuading the superdelegates — the party leaders who vote in the nomination contest and are overwhelmingly backing Clinton — to support him instead. That makes the Democratic veepstakes question more pressing and perhaps the second most interesting Washington parlor game after the drama over who the Republicans will place at the top of their ticket. Lacey Rose, a spokeswoman for Warren, declined to comment for this story. Podesta didn’t offer names on Clinton’s list of possible women running mates, but after Clinton herself, Warren is one of the few Democratic women with national name recognition and a big following among progressives, a voting bloc Sanders has energized. Having Warren on the ticket could help Clinton stitch the party back together after a divisive primary. Warren is a prodigious online fund-raiser who could help Clinton attract the tens of millions of grass-roots donations that have filled Sanders’ treasury. She raised $45 million for her 2012 Senate race, with 47 percent of the funds coming from small donors, according to the Center for Responsive Politics, which tracks political spending. 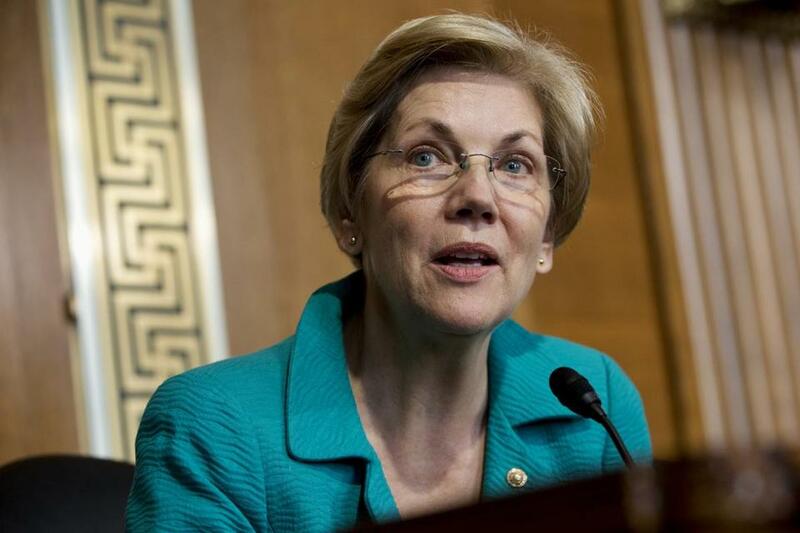 Warren has been wading more deeply into 2016 presidential politics in recent weeks. On Tuesday she unleashed a 12-part tweetstorm aimed at Texas Senator Ted Cruz that some perceived as an audition for the attack-dog role that traditionally falls to vice presidential nominees. There are multiple hurdles for Warren, first among them: It’s not at all clear that she even supports Clinton. She’s assiduously hugged the sidelines of the Democratic race even after repeatedly saying she would endorse a candidate and has sparred with Clinton in the past over her corporate ties. Adding Senator Elizabeth Warren as a running mate could help Hillary Clinton attract the support of Senator Bernie Sanders’ backers. And as with any senator whom Clinton might consider, there’s the balance of the chamber to consider. Democrats are fighting hard to pick up the net gain of five seats they need to be in the majority. That could pose a short-term problem in Massachusetts, where Republican Governor Charlie Baker would almost certainly appoint a member of his own party to fill Warren’s seat. Massachusetts law stipulates that a special election must be called between 145 and 160 days after a vacancy occurs — so the blue Massachusetts Democrats would have another crack at the seat. Warren’s supporters questioned whether she’d want the post. In interviews with about a dozen people who attended a Sanders event in Queens Monday night, nearly all said they would be disappointed in Warren if she endorsed Clinton, let alone got on the ticket with her. They found the whole concept unimaginable. More importantly, it’s not clear that Clinton needs Warren to unite the party. Many of the same activists at the Sanders rally said that even if they don’t like or trust Clinton, they prefer her to a Republican. And while Sanders and Clinton do seem irritated with one another, the race hardly seems to be as divisive as in 2008. In that contest, Barack Obama’s campaign described Clinton as a person who “couldn’t be trusted or believed in when it comes to change.” And Clinton attacked Obama as having “neither the experience nor the wisdom” to be commander-in-chief. Finally, since the Republican race is such a muddle, it’s difficult for Clinton’s team members to assess what qualities they would want in a vice president. Her pick to face Trump could be different than the person she’d want to face Cruz. If the Republicans have a contested convention, Clinton’s team might not know the answer until days before the Democrats gather in Philadelphia for their nomination. But the notion of two women on the ticket is shocking to even female leaders in the Democratic Party — some who openly guffawed at the idea. But aside from Warren, she was hard-pressed to come up with a name of another female who could fill the role. “There’s Maria. . . . In Washington,” she said, struggling to remember the last name of Washington state’s junior senator, Maria Cantwell. Other prominent women in the party face constitutional hurdles. Jennifer Granholm, the telegenic former Michigan governor, was born in Canada, and therefore fails the “natural born citizen” test. Kirsten Gillibrand, the New York senator who took Clinton’s seat when she became secretary of state, faces a constitutional muddle that makes it challenging to put two leaders from the same state on a ticket. An outside-the-box pick could be Cecile Richards, the president of Planned Parenthood Action Fund and daughter of the late former Texas governor Ann Richards. She provided a pitch-perfect political non-answer when asked if she could imagine two women on the Democratic ticket. One Democratic strategist even floated Republican Senator Susan Collins of Maine as a long-shot pick — as a way to appeal to suburban GOP women, particularly if Clinton faces Trump in the general election. The Clinton brain trust has a history, though, of making unconventional vice presidential choices: In 1992, one young white Southerner picked another young white Southerner to be his running mate. It was labeled the baby boomer ticket. And it worked.